The days are going by fast. I can't believe this is already my fourth MoFo post. 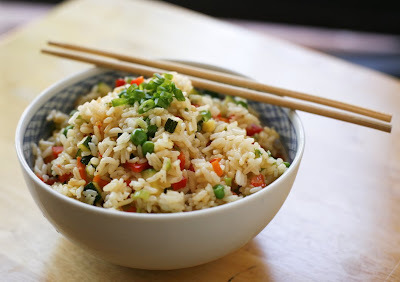 For today's post I will like to share a Chinese recipe that is most likely something that everyone has eaten before, chow mein and fried rice! I used fresh whole wheat noodles for my chow mein and it can be found easily at any Asian market. If you cannot find hoisin sauce, the chow mein will taste find without it, just add 2 of 3 more teaspoons of brown sugar. The fried rice is also really simple to make and works great when you have old rice in your fridge and you don't really know what to do with it. 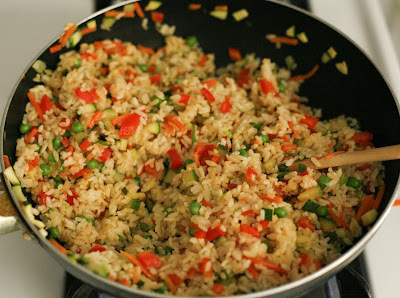 I used white rice in mine but brown rice will work as well. This meal would totally be compete if you make some tofu orange chik'n on the side. A great Friday night Take-In Chinese dinner! 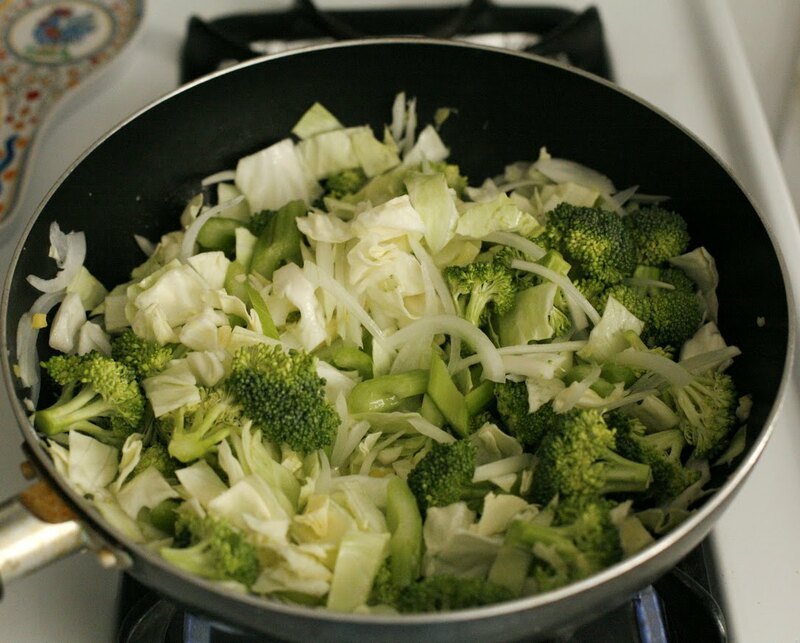 Make sure everything is chopped and ready to go before you start cooking. 1. 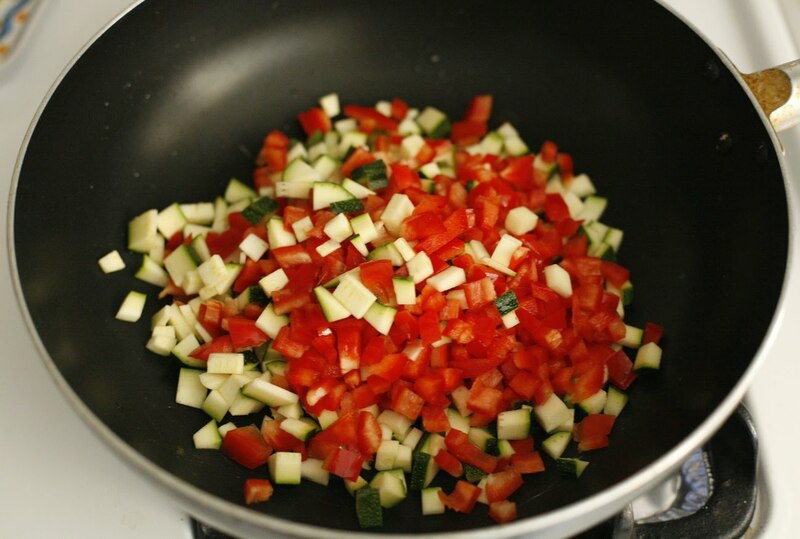 In a wok or large frying pan, add the oil and heat over medium heat. Add the garlic and ginger and saute until fragrant, about 30 seconds. 2. Add the onion, celery, broccoli and cabbage and saute for about 5 to 8 minutes, stirring occasionally. 3. 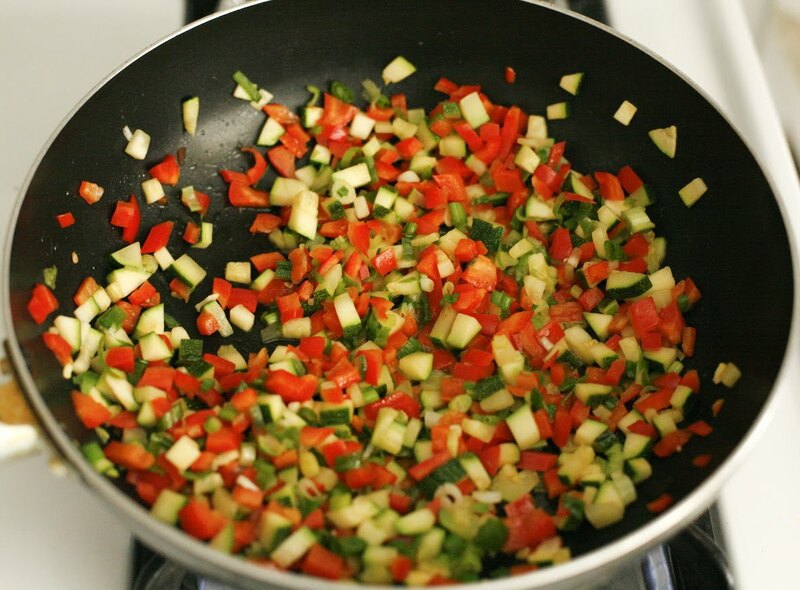 While the vegetables are sauteing, start making your sauce. In a small bowl, whisk together the vegetable broth, soy sauce, sugar, hoisin sauce and corn starch. 4. Add the bamboo, baby corn and bean sprouts. Saute for 2 minutes, to heat through. 5. 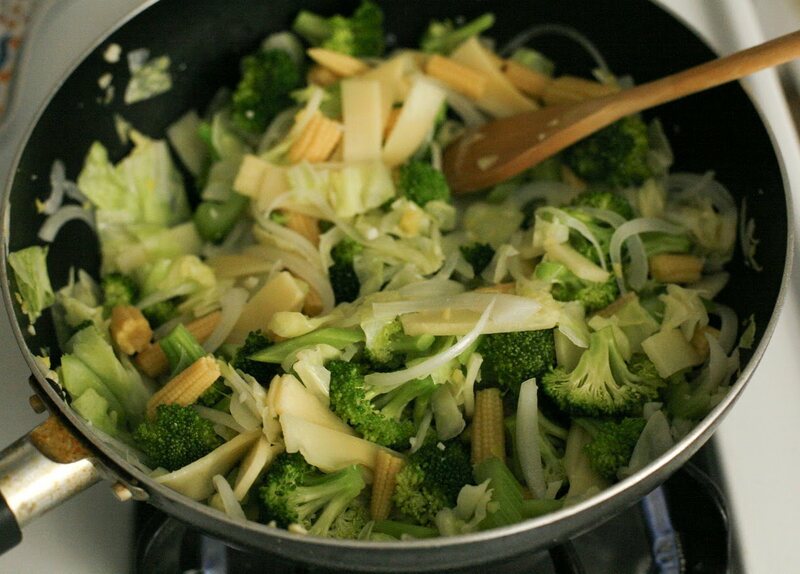 Add the noodles and mix well, using tongs. 6. Pour the sauce over the noodles and vegetables and toss. Bring the mixture to a boil and stir until slightly reduced and thick, about 2 minutes. 7. Season with freshly ground pepper, to taste. 8. 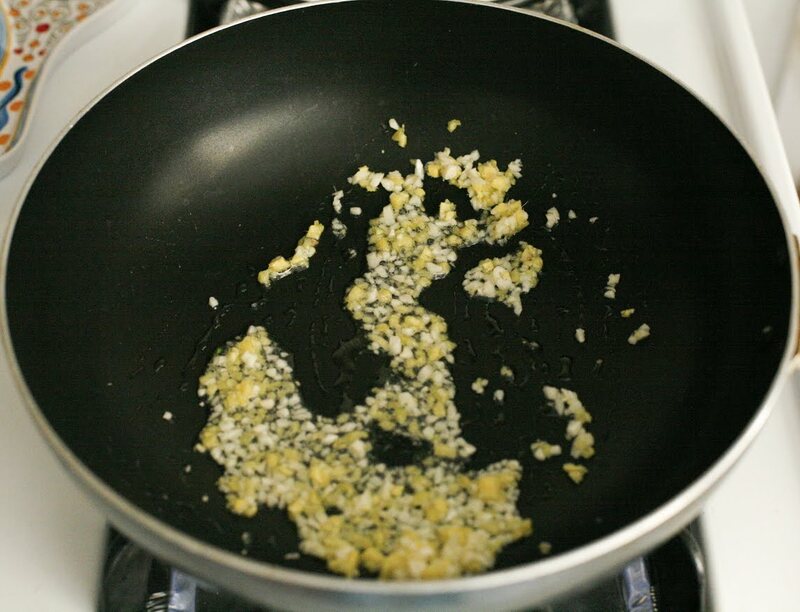 Transfer to a large bowl and garnish with green onions. Serve immediately. 1. Heat oil in a wok or large frying pan over medium high heat. Add zucchini and bell pepper and saute for about 5 minutes, stirring occasionally. 2. Add the green onion and saute another 3 minutes, stirring occasionally. 3. 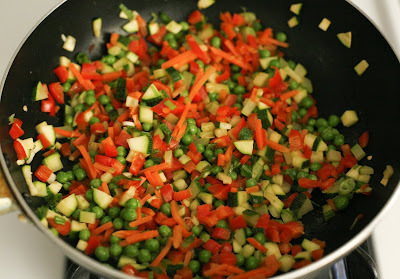 Stir in peas and carrots and cook 1 minute longer. 4. Add the warm rice, breaking up any clumps with your spatula. 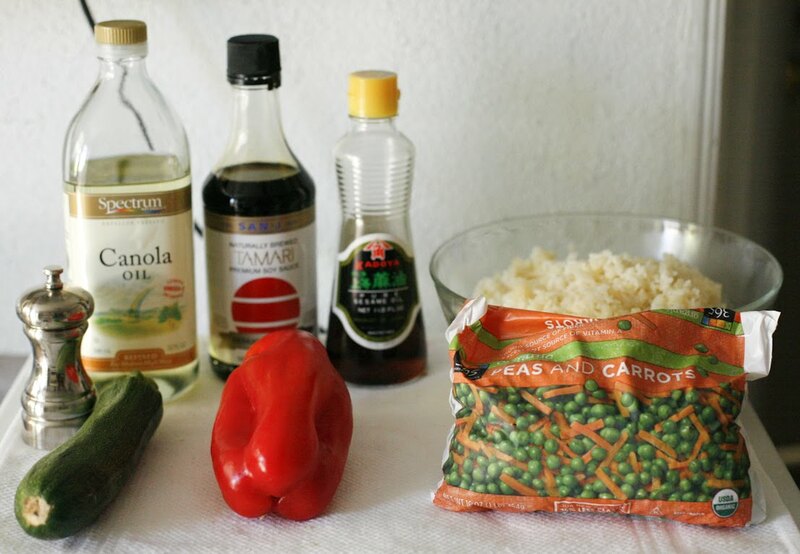 Stir to mix all the ingredients. 5. 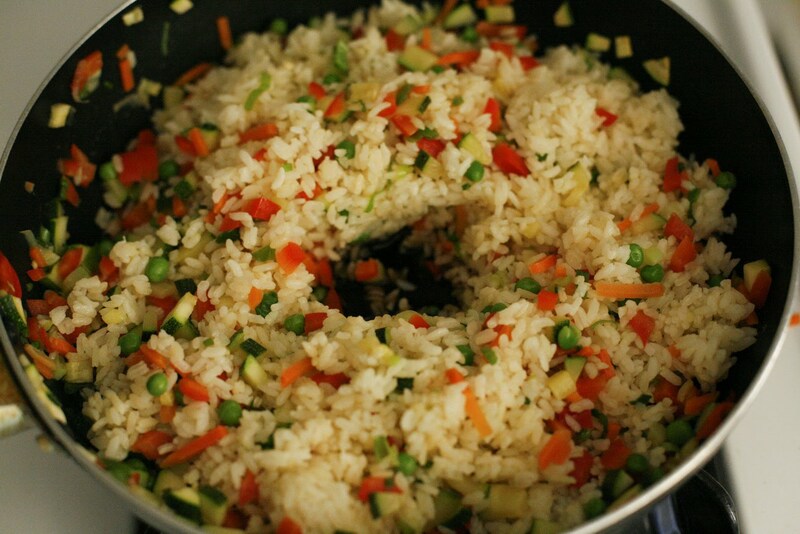 Clear a small space in the middle of your pan and add the soy sauce. 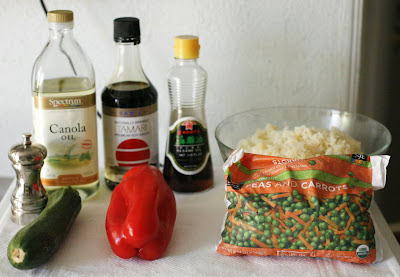 Immediately mix the soy sauce with the rice. 6. Season with salt and pepper to taste. 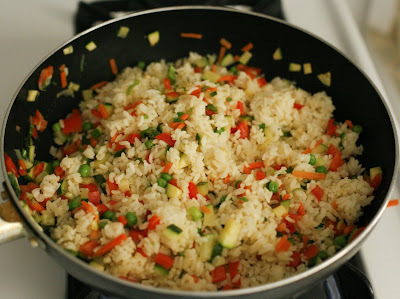 Add a drop or two of sesame oil if desired. Stir well. This looks so good. Thanks for the fried rice how-to...I can never get mine to come out the way I want it. I'm making your Daiya mac n'cheese recipe tonight...I can' wait! This was soooooooooo delicious. Thanks again for inviting me Jaky. I completely forgot about my other restaurant, glory what? Seriously, that looks awesome. 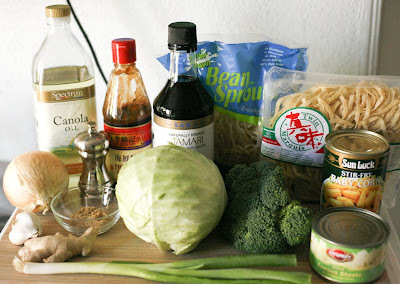 I will try to hunt down ingredients for the Chow Mein and make is asap! Love your photos too. 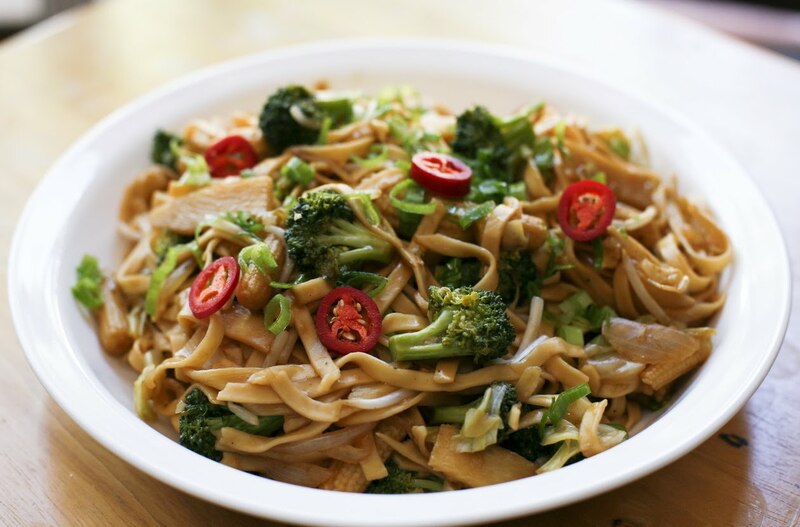 The chow mein looks especially good. Lately I've really been loving cabbage in stir fries or things like that. Thank you for doing this! I'm always looking for great ethnic recipes. Someday, maybe, I won't have to go out to a restaurant to eat those wonderful dishes. 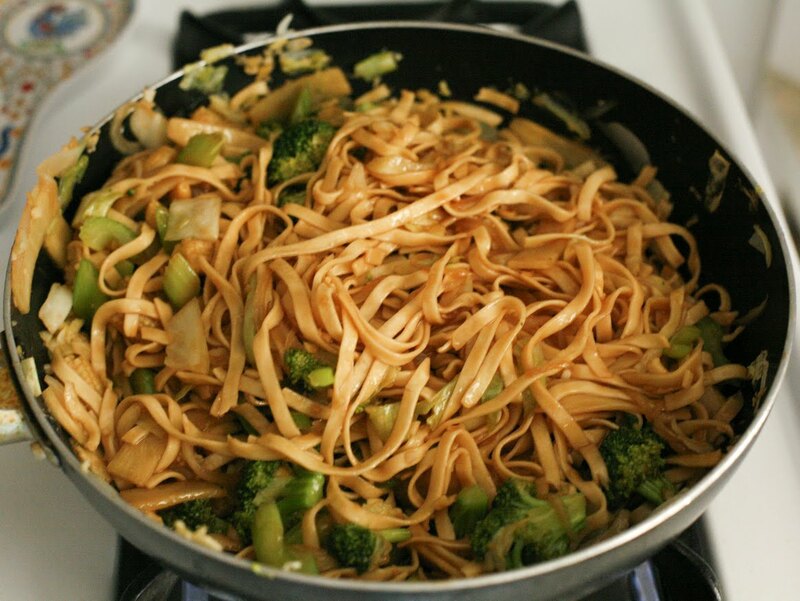 Yum...your chow mein looks better than a restaurants. 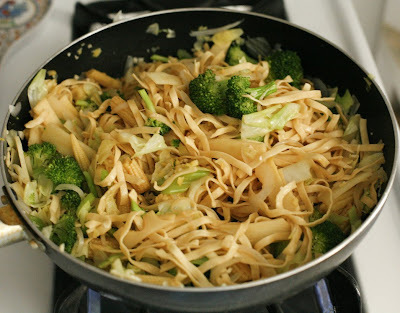 You know I've never actually made chow mein. Add to my list of things to make. I checked out your orange chicken and my husband would love this. Wow! I'm craving Chinese take out in a big way now. Beautiful work! 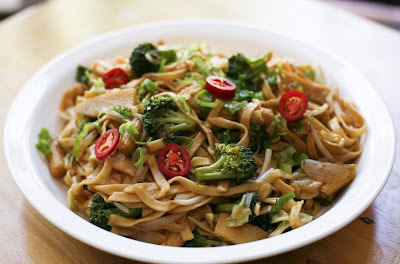 It's been far too long since I've had a proper chow mein, and not just noodles tossed in soy sauce. Thanks for the recipe, hopefully I can put it to good use soon!